Trian Fund Management L.P., co-founded by well-known activist investor Nelson Peltz in 2005, is considered as one of the fastest growing hedge funds in the industry. In fact, Trian is among the largest U.S. activist hedge funds, with over $10 billion in assets under management. 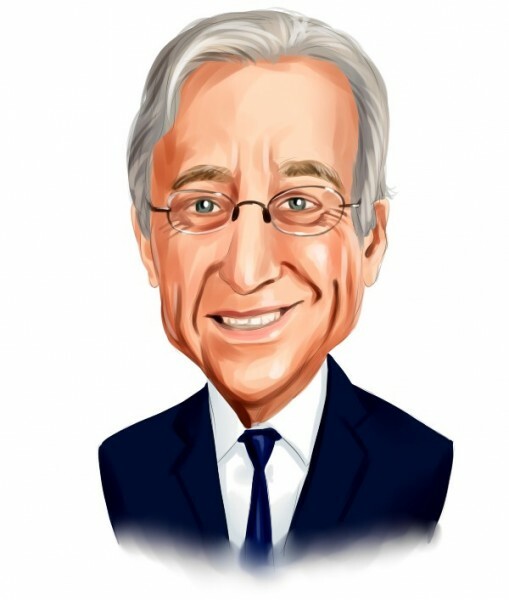 Nelson Peltz’s firm primarily invests in seemingly high-quality and undervalued public companies, attempting to cooperate with companies’ management and Boards on making changes so as to unlock shareholder value. The multi-billion dollar alternative management firm aims at improving operational execution, strategic redirection, and capital allocation, among other things. Moving on to the underlying purpose of this article, Trian Fund Management recently has submitted its 13F filing with the U.S. Securities and Exchange Commission, disclosing its equity positions as of the end of the third quarter. Although the public filing was submitted one month and a half later than the end of the quarter, Trian’s top stock picks have not lost their appeal. At the end of the day, Trian is a long-term-oriented fund, so its stock picks still remain relevant. So let’s proceed with the discussion of Nelson Peltz’ five largest equity holdings at the end of the third quarter. Why are we interested in the 13F filings of a select group of hedge funds? We use these filings to determine the top 15 small-cap stocks held by these elite funds based on 16 years of research that showed their top small-cap picks are much more profitable than both their large-cap stocks and the broader market as a whole; yet investors have been stuck (until now) investing in all of a hedge fund’s stocks: the good, the bad, and the ugly. Why pay fees to invest in both the best and worst ideas of a particular hedge fund when you can simply mimic the best ideas of the best fund managers on your own? These top small-cap stocks beat the S&P 500 Total Return Index by an average of nearly one percentage point per month in our backtests, which were conducted over the period of 1999 to 2012. Even better, since the beginning of forward testing at the end of August 2012, the strategy worked just as our research predicted and then some, outperforming the market every year and returning 102% over the last 37 months, which is more than 53 percentage points higher than the returns of the S&P 500 ETF (SPY) (see more details). Trian Fund Management upped its position in E. I. Du Pont De Nemours and Co (NYSE:DD) by nearly 1.24 million shares during the third quarter, and the charts show that this move has turned out be quite profitable thus far. The shares of the science and technology-based company were down 31% in the nine-month period ending September 30, but they have gained more than 38% since the start of the current quarter. Nevertheless, several valuation metrics suggest that the upside potential of the company’s stock is quite limited. For instance, the company has a trailing price-to-earnings ratio of 21.77, which compares with a ratio of 22.70 for the S&P 500 Index. Mason Hawkins’ Southeastern Asset Management added a 7.81 million-share position in E. I. Du Pont De Nemours and Co (NYSE:DD) during the September quarter. The multi-billion dollar activist fund was very bullish on SYSCO Corporation (NYSE:SYY) during the third quarter, as it increased its stake in North America’s largest marketer and distributor of foodservice products by 31.19 million shares. In August, Sysco appointed Peltz and Josh Frank to its board of directors. Sysco’s stock has been sliding into negative territory for the year over the past few days, after the company released its somewhat weaker-than-expected fiscal first-quarter financial results. The food wholesaler’s performance has been hindered by the strengthening competition, volatile commodities and weak consumer spending. The company’s adjusted earnings per share remained flat year-on-year at $0.52, while its revenues grew by 0.9% year-over-year to $12.56 billion, but missed analysts’ estimates of $12.58 billion. Donald Yacktman’s Yacktman Asset Management cut its position in SYSCO Corporation (NYSE:SYY) by 8.14 million shares during the previous quarter, remaining with 25.82 million shares.